I’ve yet to find myself in a situation that can’t be made better with chocolate. I guess you could say that I’m a fan. It’s pretty hard to condense my love for it into a list but I’m going to try. There are so many amazing places and dessert spots in Singapore to get your chocolate cravings sorted, and here are 14 such creations on our island that are just too yummy to resist. Max Brenner Chocolate Bar is one of the places I frequent on a weekend. From the chocolate cakes to the chocolate pralines, chocolate ice cream, chocolate dips and chocolate drinks… I have tried them all. 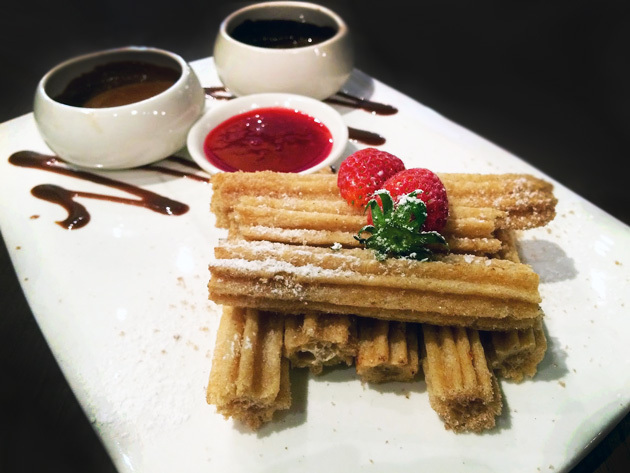 The Churros ($20) is a signature dish that is served warm and crispy. For your dips, you can choose between dark chocolate, white chocolate and milk chocolate sauce. The sauces are really smooth and rich and pair so perfectly with the fresh churros – I need to start coming on weekdays too. Known for pillowy-soft sponge cakes, Chef Yamashita makes a really good chocolate version that’s pretty irresistible. 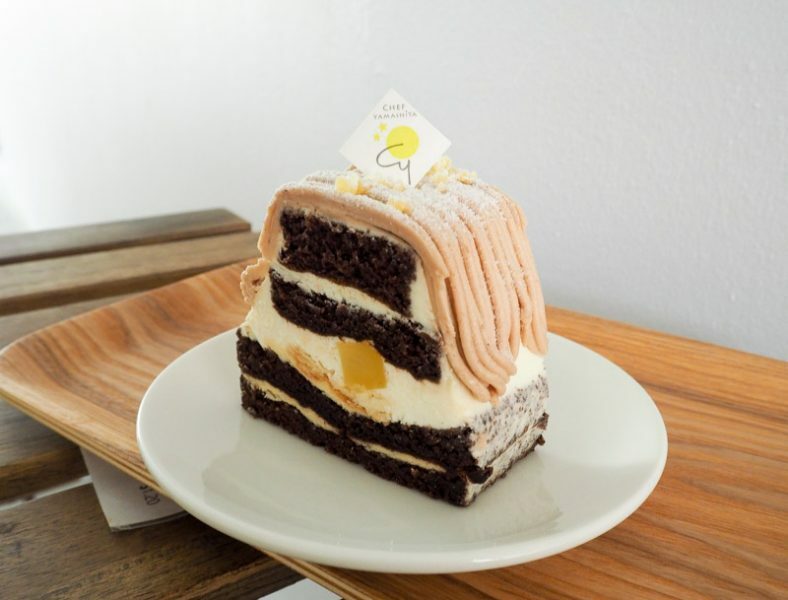 The Mt Fuji ($7.10) is filled with layers of Japanese chestnut cream and chocolate sponge and is super light and airy. This creation is not only pretty to look at, but the ratio of the chestnut cream and chocolate is the perfect balance. The Small Dark Chocolate Fudge Cake ($4) at Matt’s The Chocolate Shop is shaped just like a lava cake. 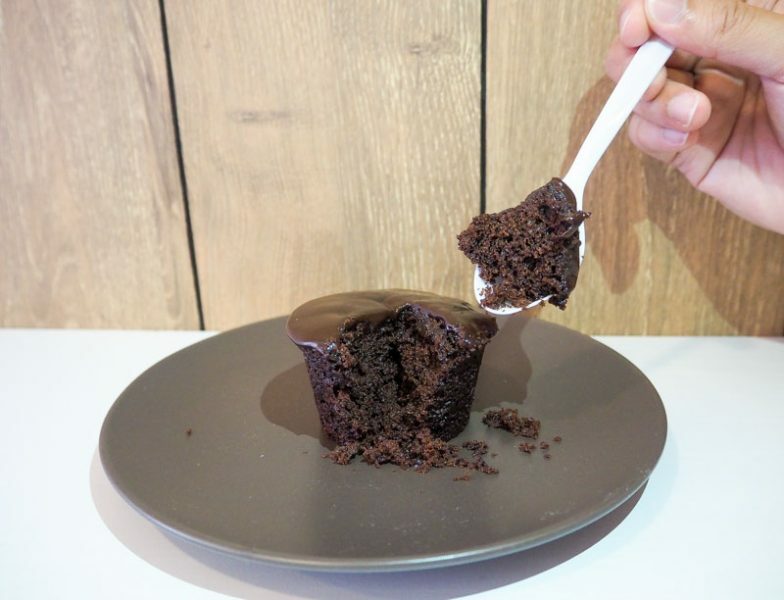 While you won’t find any oozy chocolate lava inside, each bite of the cake is filled with the the flavour of quality chocolate, with a consistency that’s a cross between a sponge cake and a brownie. At only $4, this is a great dessert to have in the afternoon, while resting in the cosy shop. Speaking of chocolate desserts, there is no way we can leave out 2am: dessertbar. 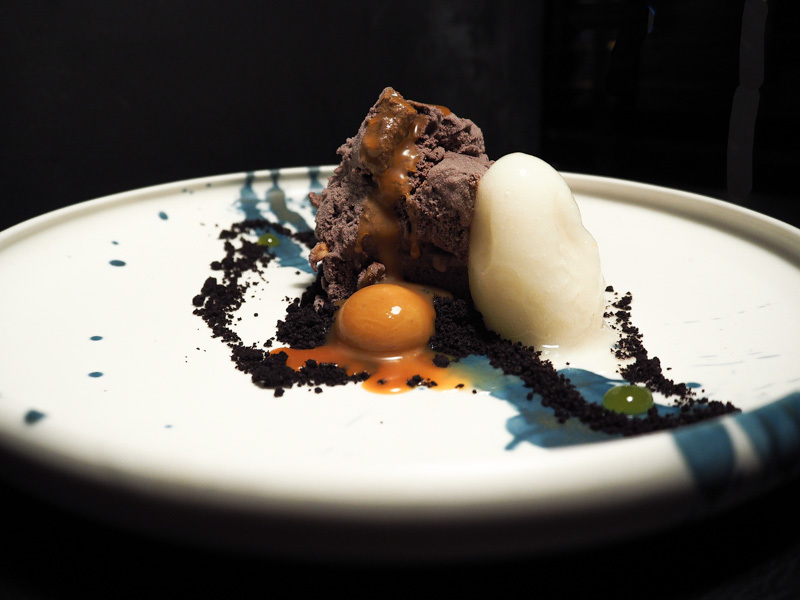 The Chocolate H2O ($22) is a beautiful mess of water-based chocolate mousse with salted caramel sauce, burnt caramel parfait, and a scoop of yuzu sorbet to balance out the flavours. 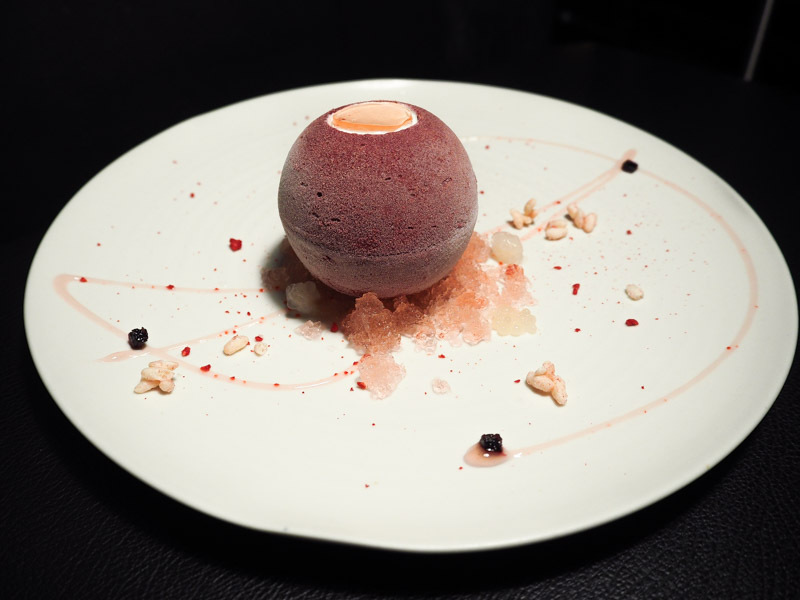 The Cassis Plum ($24) consists of a white chocolate shell that encases elderflower yogurt foam, garnished with choya granita and white chocolate raspberry rice crisps. The filling is smooth and luxuriously creamy. I don’t often meet many white chocolate lovers, but if you are one, then this is for you. Matchaya is the brainchild of Kaelyn and Kevin. Opened in 2015, it quickly escalated into a popular takeaway dessert kiosk at Icon Village. The ingredients like the green tea powder are sourced directly from Japan, keeping the flavours pretty darn authentic. 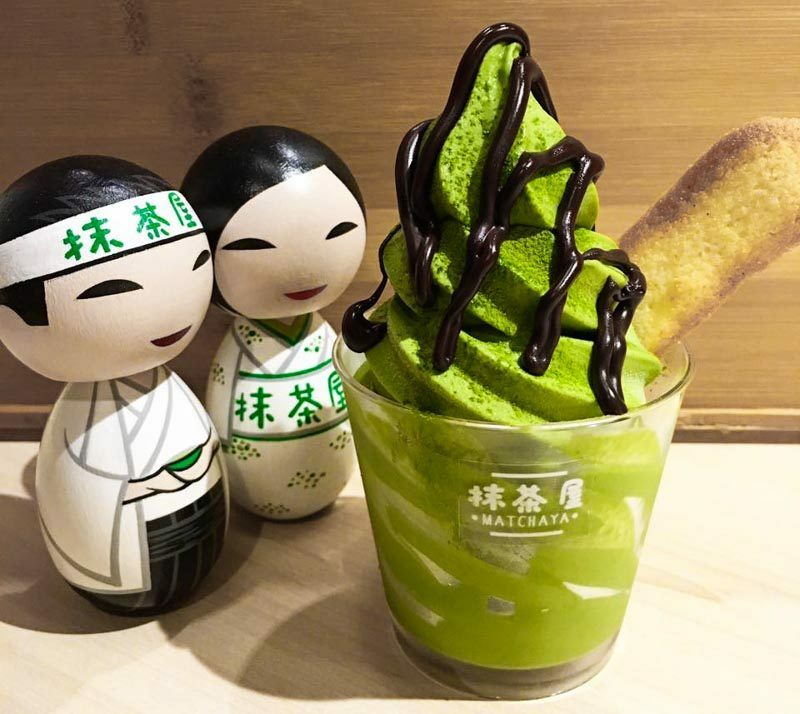 Matchaya specialises in items such as the roll cake, macarons and brulee toasts but everyone comes back for the soft serve ice creams (starts from $5.90). The flavours are on rotation but if you get the chance, you have to try the Matcha flavour with chocolate drizzle. A match made in heaven! Chocolate Origin is famous for its Chocolate Cake that comes in various sizes, from the regular (feeds 6-8 pax, $32.80) to the much larger party size (feeds 36-48 pax, $192.80). 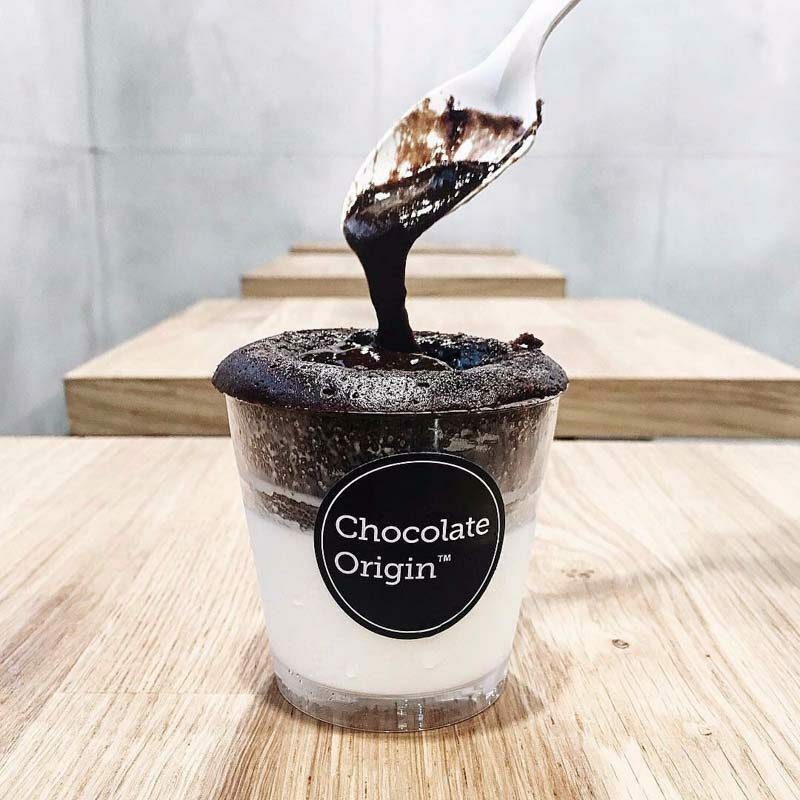 The Cuppa Lava Cake ($5.50) though is great to get on the go (for a quick chocolate fix). The dessert is served in a cup with vanilla ice cream at the base and chocolate lava cake on top. As you slice through the cake with the spoon, the chocolate ganache will flow out. Don’t be fooled by the small size of the cup – the chocolate is so rich and intense in flavour that you’ll be more than content. 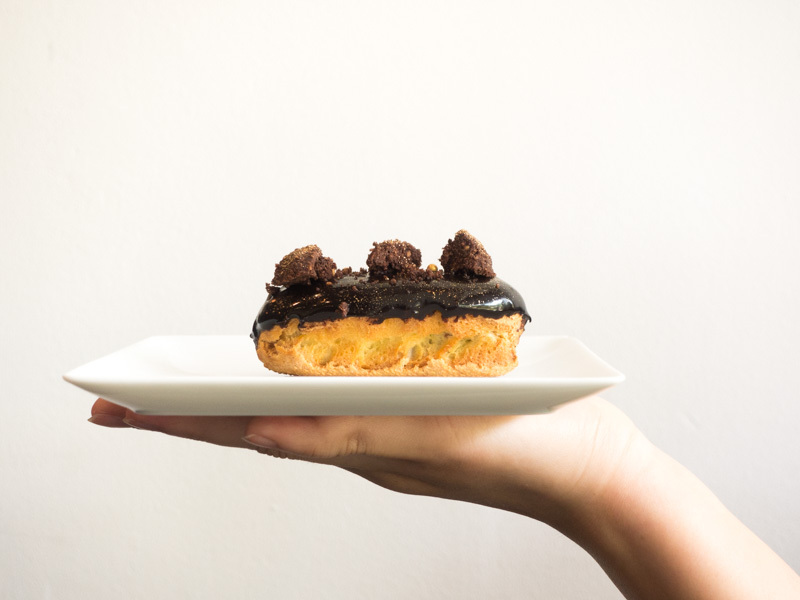 The Dark Chocolate Eclair from L’éclair is perfection – with a filling of Mexique 66% dark chocolate cream and cocoa glaze, the chocolate is so smooth and melts in the mouth easily. Chocolate lovers will enjoy this for its intensity and not overly sweet taste. Swing by here and check out the afternoon tea set menu! With several outlets across Singapore, Awfully Chocolate is awfully good with its array of chocolate desserts. As the name suggests, you’ll only find chocolate-related desserts here. 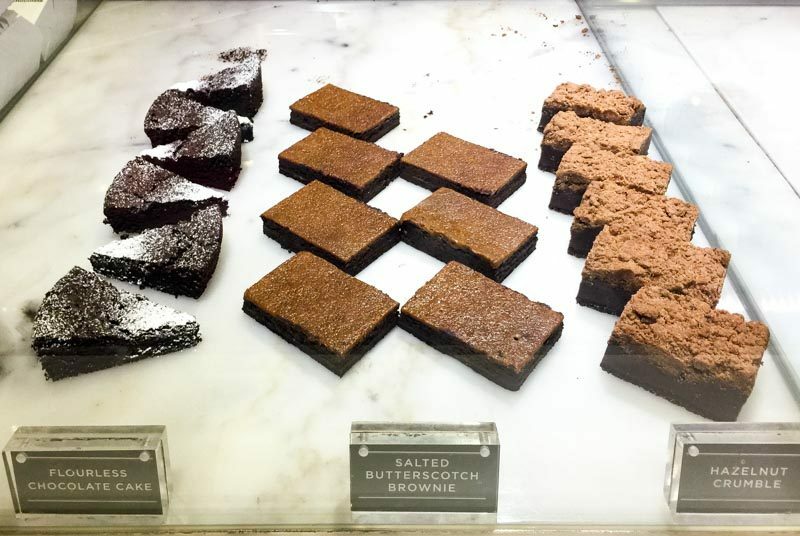 Try the signature Flourless Chocolate Cake ($6.80) and the Salted Butterscotch Brownie ($7) that will leave you in chocolate heaven. The chocolate ice cream, a.k.a Hei ice cream ($4.90 single, $8 double), is so rich and dense – it puts many chocolate ice creams to shame! 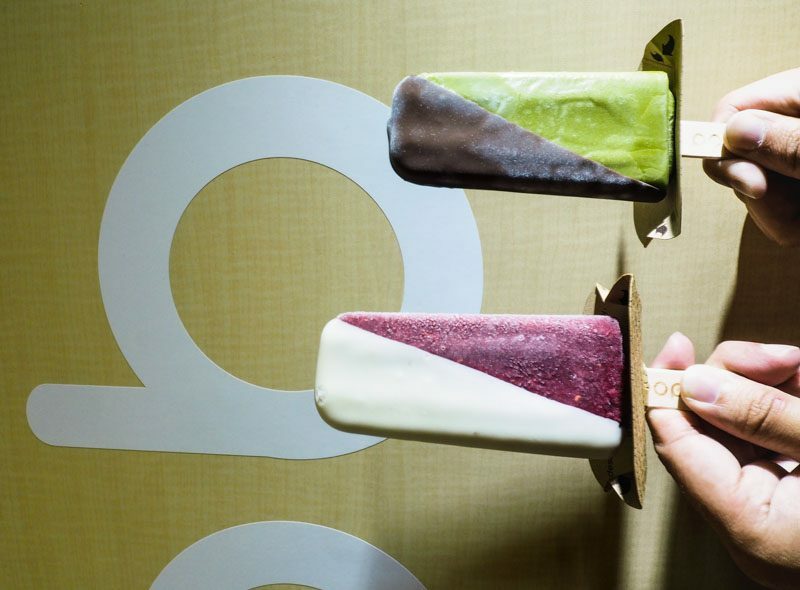 The popular popsicle chain from the US has come to Singapore and it’s called Popbar. On display is a variety of popsicles that come in two versions: gelato and sorbet. The Green Tea popGelato ($5.90) comes in a dark chocolate dip, whereas the Raspberry popSorbetto ($5.40) has a white chocolate dip. If you want your popsicles to look even more photogenic, you can add on more toppings at an additional $0.50 (get the chocolate ones!). 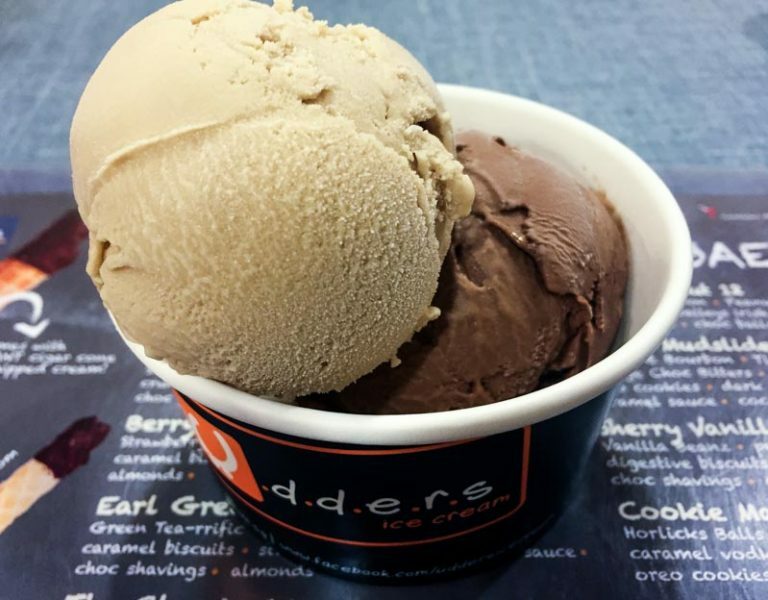 The unique selling point of Udders is the alcoholic ice cream that’s actually really strong. The Oktobeer and Orange Choc Bitters are two ice creams infused with beer and Triple Sec respectively. Each mouthful is bound to make you a little giddy, so don’t lick and drive! I’m including this in this list because chocolate and alcohol? Mmm. Sugar Palette is relatively new on the block. 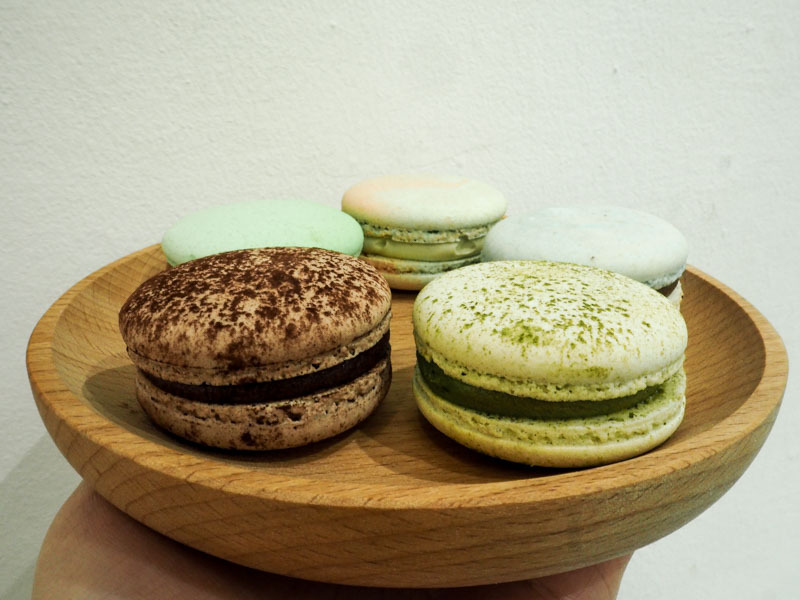 It sells a range of homemade cakes, macarons and even cookies. The Earl Grey Macaron ($2.80 for one, $11 for four, $15 for six) has a thick chewy pastry shell infused with earl grey tea flavours. Stuffed between the shells is a rich layer of milk chocolate ganache – that’s what we like to hear! 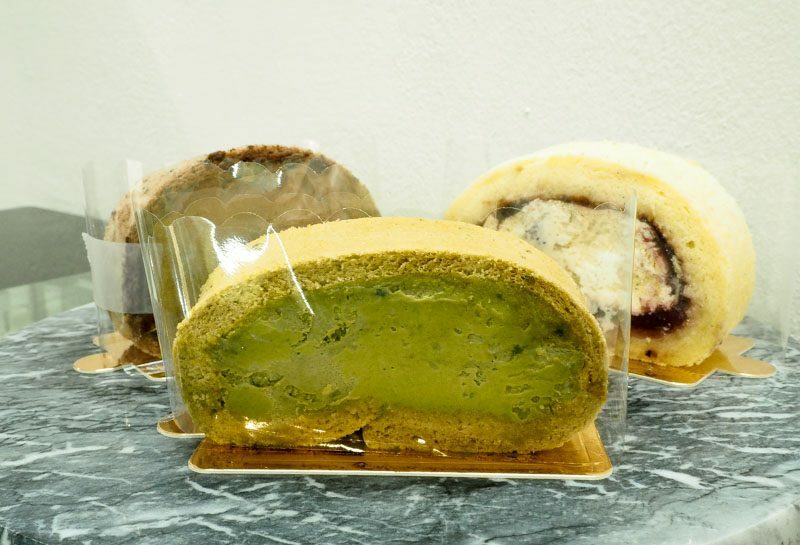 They also serve three types of roll cakes (Matcha, Chocolate and Vanilla Strawberry) at $4.80 per roll and $22 for a whole roll that can feed up to seven people. I don’t even need to tell you to get the chocolate. Newly opened, Kosnica serves a range of desserts such as ice cream, waffles, cakes, tarts and lava cakes. 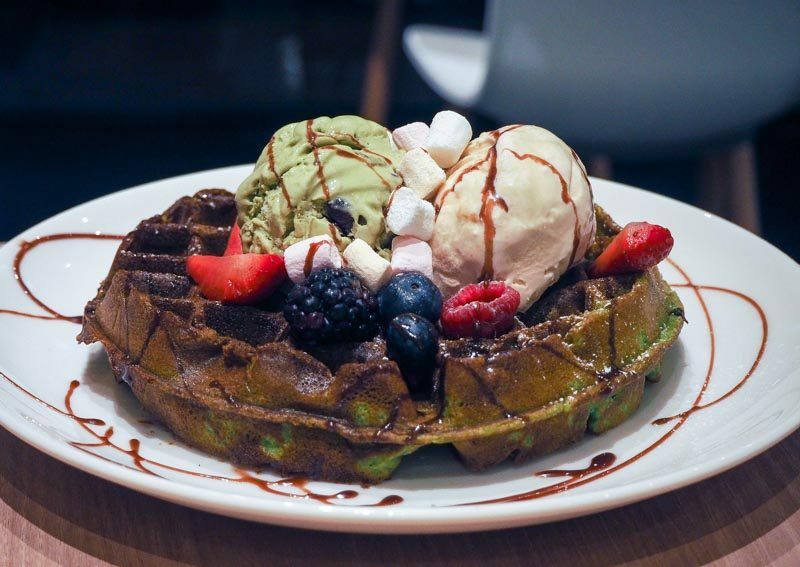 You can choose from freshly baked waffles like red velvet, buttermilk or matcha at $11 for a single scoop of ice cream, $15.50 for a double and $20 for a triple. Topped with fruits, marshmallows and a drizzle of chocolate sauce (definitely ask for more), you can choose from a variety of ice cream flavours. The White Chocolate with Forest Berries is my recommendation. 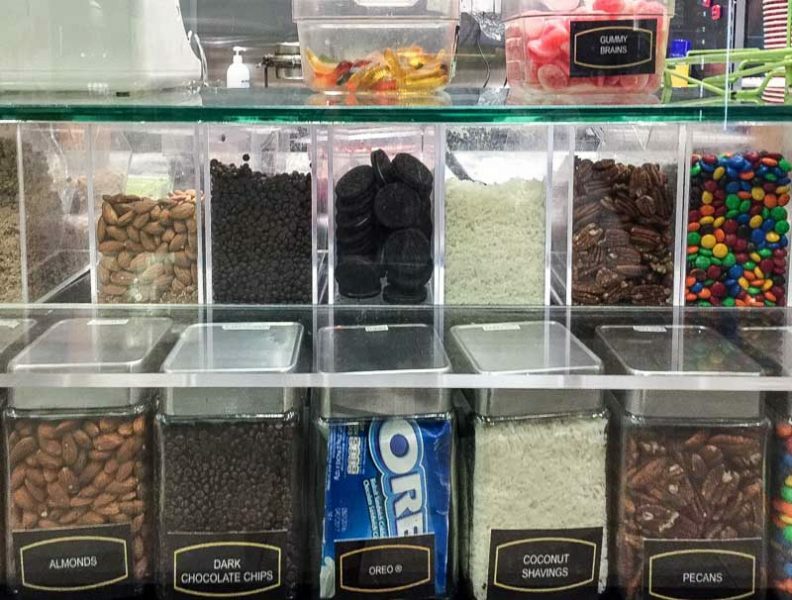 Just look at the amount of chocolatey toppings available at Cold Stone Creamery! A scoop of ice cream starts from $6 for a 4oz, $8.50 for a 6oz, and $10.50 for an 8oz. If you’re not sure of what kind of toppings to get, go for the Signature Creations like the Chocolate Devotion, Mudpie Mojo and Founder’s Favourite, where each ice cream flavour is already paired with the ideal sauces and toppings. Of course PS. 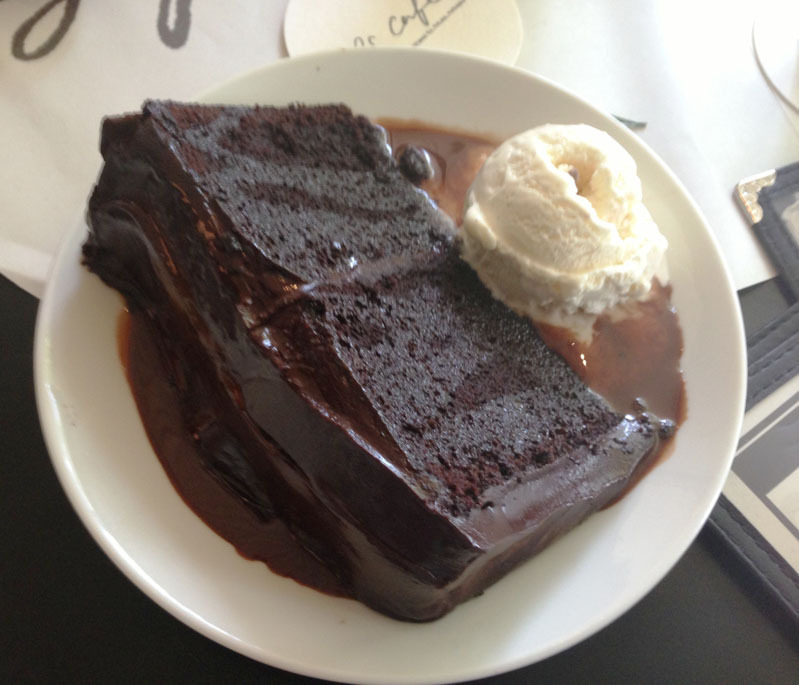 Cafe’s Double Chocolate Blackout Cake with Vanilla Ice Cream ($16) has made it to this list. This epitome of a chocolate dessert is a truly decadent and humongous slice of chocolate cake, with a brownie-like texture that’s layered with thick chocolate ganache. Better still – it comes drenched in a pool of chocolate sauce. Thank you chocolate Gods.